→Million Dollar Replicator Review – Scam or Guaranteed Profits? 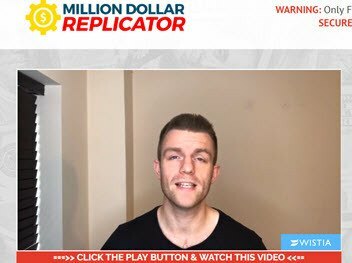 Million Dollar Replicator Review – Scam or Guaranteed Profits? Welcome to my honest Million Dollar Replicator review! 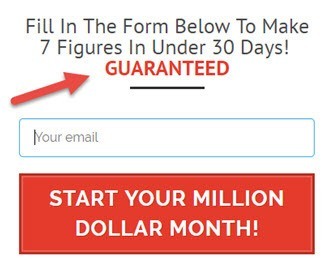 In this post, I would like to cover all the red flags that I identified in this suspicious website, which promises you will make 7 figures in under 30 days guaranteed. I have reviewed lots of similar programs in this blog, so I am very familiar with all hype and false promises. Is Million Dollar Replicator a scam or legit? I am here to answer that question and give you enough information so you can become aware of potential scams. By the way, if you want to learn the proven method that helped me reach $1,000+/mo from my laptop, check out my #1 recommendation! What is Million Dollar Replicator? Who is Million Dollar Replicator For? How Does Million Dollar Replicator Works? Conclusion – Is Million Dollar Replicator a Scam? 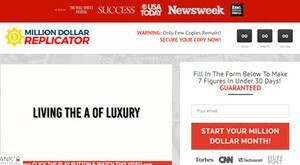 Million Dollar Replicator is one of those “get-rich-quick” programs for sale at the Clickbank marketplace. Right of the bat, I can see that this website is trying to lure people into the idea of becoming a millionaire within a year. Sure! Some people become millionaires quickly by creating an innovative product or winning the lottery. We all know that! But I have never seen anyone achieving financial freedom by joining a website like Million Dollar Replicator. It also promotes the idea of replicating a system that will make you money on autopilot, without doing any work. 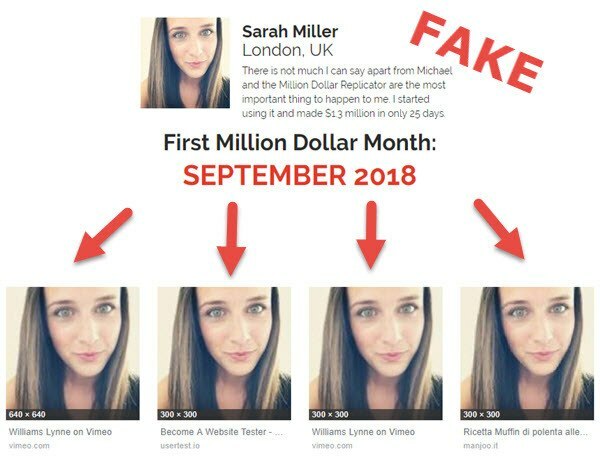 Well, the only person getting rich in this story is probably the owner, which is replicating the same misleading tactics used by thousands of other sites. Million Dollar Replication doesn’t require any special skills and is mainly designed for newbies. However, I don’t recommend this product to anybody because the sales page is full of red flags, which is typical of get-rich-quick programs. If you are tired of scams and false promises, check out my top recommendation here! When you visit a website that is promising lots of money without much effort, you should close it immediately. Seriously! No strategy or loophole will allow you to earn lots of money without the sweat and tears. The sales page of Million Dollar Replicator doesn’t explain you anything about how the system works and what is required from you. Every information they provide is too vague, and there is no clue about the business model proposed! One of the few things they say about the system is that it identifies the most lucrative opportunities and then replicates them for you in your account. All the hard work is supposedly done for you! From all these years reviewing the same type of products, I can tell you this one probably consists of a ready-made website and some training in affiliate marketing. Unfortunately, having a website is just the start of your journey. The real challenge is to attract an audience to it, which requires a lot of hard work. But they are not upfront with regarding the process. The front end product costs $37. However, after you place the first order, they will try to sell you other upgrades that amount of over $600. I discovered this because their JV page says affiliates (promoters) can earn $450+ per sale with a 60% commission. The only way Million Dollar Replicator affiliates can earn $450+ at 60% commission rate is if all the upsells cost more than $600. The question is: Why would you need to spend more money considering the first product is already supposed to make you 7 Figures In under 30 Days? There are many red flags that I would like to discuss below. Ready for the truth? I already mentioned the silly claims, but it’s important to highlight the fact that Million Dollar Replicator promises you will make a lot of money. That is totally unrealistic! They say you will make guaranteed profits, which is a complete BS! A legit program will never make that claim because individual results will always depend on the persons’ work ethic and many other factors. In the small print below, they contradict themselves by saying milliondollarreplicator.com makes absolutely no guarantee, expressed or implied that you will make any money. So, it’s a shame they are not truthful to their potential customers, who are vulnerable people in search for quick money. Note there are logos of the CNN, Forbes, Huffington Post, giving the impression that Million Dollar Replicator was featured and trusted by these big companies. But that is not the case at all! You can search online, and you won’t find anything about the Million Dollar Replicator in any of those company’s websites. Million Dollar Replicator takes advantage of false scarcity, which is a deceitful marketing tactic that urges people to buy a product on impulse. Right at the top, there is a countdown and a warning that only a few copies remain. The truth is that these digital products are never limited unless we are talking about a coaching program, which is not the case here. Another tactic used by poor quality “make money online” programs is the use of fake testimonials. Million Dollar Replication makes use of them too, probably because no one could achieve any level of meaningful results with their system. 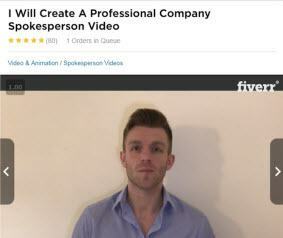 So, they head to a freelancing platform like Fiverr and hire actors to say whatever they want. Remember this guy who claims to have made 1.2 MILLION dollars? All the other testimonials on the sales page are fake too. For example, this girl appears on different websites with different names. This red flag didn’t surprise me at all! Michael Sachs, the creator and CEO, is not the one you see in the picture. After a quick search, I found that exact same photo available at a free stock photography website called Pixabay. The entire team of “experts” are also not the ones you see in the picture. Million Dollar Replicator is a scam because of all the red flags mentioned above. It may provide some value in terms of training and done-for-you websites, but the sales page is very misleading a gives people false expectations. They guarantee you will make 7 figures in less than 30 days before, but after you buy the product, you will discover the system won’t generate profits unless you work very hard for it. What’s worse, they will encourage you to spend more money on expensive upsells. There is no information about the training or strategies to make money, which is a serious red flag for me. A legitimate company would be more than happy to explain what exactly you will be doing. The testimonials are fake, the founder is hiding his real face, and there is absolutely no guarantee you will earn any income. Million Dollar Replicator won’t help you become a millionaire overnight. No program will! In 2015, I was lucky enough to discover the proper way to do affiliate marketing without wasting any money on pyramid schemes or low-quality internet marketing courses. I found a program that, instead of lying or omitting information, explained the whole process step by step even before I decided to purchase the premium membership. Learn more about this program here! Their free membership helped me understand the affiliate marketing model and also showed me how to set up a website from scratch. Bear in mind I was a complete newbie without any skills in web design. After working consistently on the strategies I’d learned, I am now making over $1,000 per month, which is enough to cover all my living costs in London. So, how do I make this online income? I create helpful articles for this website to attract visitors and promote products via links and ad banners. When people visit my site in search for a review or other information, they can click on these links to visit the merchant’s website. If they make a purchase, then I earn a commission at no extra cost to the customer. It takes time and effort to grow a lucrative site, but in my opinion, it’s well worth it. Check out My #1 Recommendation Here! I hope my Million Dollar Replicator review was helpful to you. If you have any questions, just let me know in the comment section below. Stay safe and peace out! ALL THE CONTENT YOU SEE AT MYROOMISMYOFFICE.COM IS BASED ON OPINIONS AND NOT FACTS. I HAVE THOROUGHLY REVIEWED EACH PRODUCT AND THEN PROVIDED MY PERSONAL OPINIONS ON THEM. HOWEVER, IT’S YOUR RESPONSIBILITY AS A CONSUMER TO DO YOUR DUE DILIGENCE AND FURTHER RESEARCH IF YOU FEEL SOMETHING MIGHT BE INACCURATE. THE SALES FIGURES STATED ABOVE ARE MY PERSONAL SALES FIGURES. PLEASE UNDERSTAND MY RESULTS ARE NOT TYPICAL AND MAY VARY FOR INDIVIDUALS. I’M NOT IMPLYING YOU WILL DUPLICATE THEM (OR DO ANYTHING FOR THAT MATTER).YOUR RESULTS WILL VARY AND DEPEND ON MANY FACTORS INCLUDING BUT NOT LIMITED TO YOUR BACKGROUND, EXPERIENCE, AND WORK ETHIC. ALL BUSINESS ENTAILS RISK AS WELL AS MASSIVE AND CONSISTENT EFFORT AND ACTION. WE CANNOT AND DO NOT OFFER YOU ANY DIRECT FINANCIAL ADVICE, NOR ARE WE RESPONSIBLE FOR ANY FINANCIAL DECISIONS YOU MAKE. Great article and thanks for sharing. 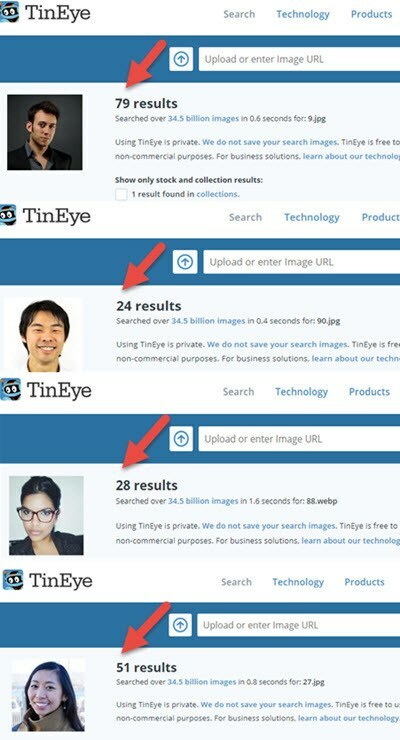 I cannot stand companies like this with fake results and reviews from fake people. The fact that Million Dollar is in the title of the company tells it all. It is just bringing in gullible people to convince them that they’re going to make a million dollars and it’s just not true. I think it is the right thing for you to expose this so well done. You’re right Tom. There are no shortcuts or replicable systems to become a millionare. Million Dollar Replicators are using misleading advertising because they can’t make any guarantees. It’s not the right way to help people make money online. The best platform that I recommend is Wealthy Affiliate, which provides a realistic approach to affiliate marketing and excellent training and support. Hi guys! My name is Stefan. In 2015 I quit my Master’s degree to pursue a freedom lifestyle. I decided to build an online business to make my own hours and travel whenever I want. In this blog, I write honest reviews and recommend only the best courses and platforms that will help you work remotely. Work Whenever and Wherever You Want! Get proper training and start your own internet business today! Offernation Review – One of The Best GPT Sites! These cookies allow us to show online advertisements on our website.